The EcoNest Intensive is a package of consecutive workshops and seminars. It is a very full 16 days of education and hands-on training that will totally change the way you think about shelter and our impact on the planet. Register by April 4th and receive your free chisel the first day of the intensive! 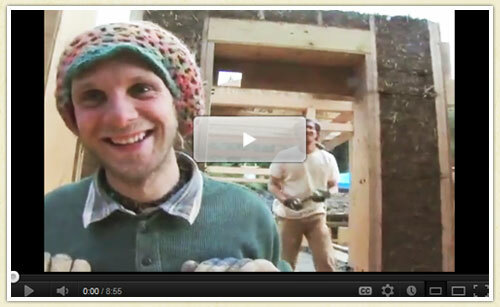 Watch the exciting new EcoNest Video and hear from workshop participants about their EcoNest experience! Earth Floor and Plaster Workshops – A Success! A great group of future builders joined us for our Earth Floor and Plaster Workshops this year. We were honored to get to know them, share our skills, and see them absorbing and applying new knowledge. Together we put our talents to work on the floors and walls of the new EcoNest Center in Ashland which is nearly complete! Our move in ceremony will be April 22. If you wish to participate please get in touch!